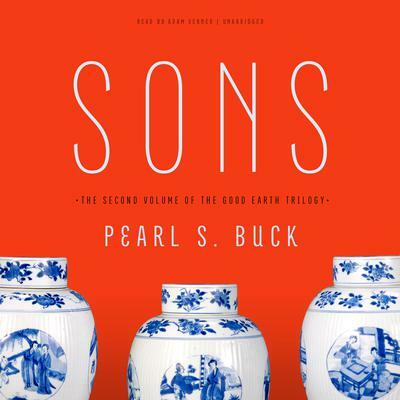 The second installment in Pearl S. Buck’s acclaimed Good Earth trilogy: the powerful story of three brothers whose greed will bring their family to the brink of ruin Sons begins where The Good Earth ended: revolution is sweeping through China. 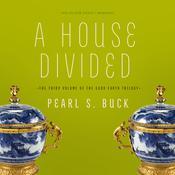 Wang Lung is on his deathbed in the house of his fathers, and his three sons stand ready to inherit his hard-won estate. One son has taken the family’s wealth for granted and become a landlord; another is a thriving merchant and moneylender; and the youngest, an ambitious general, is destined to be a leader in the country. Through all his life’s changes, Wang did not anticipate that each son would hunger to sell his beloved land for maximum profit. At once a tribute to early Chinese fiction, a saga of family dissension, and a depiction of the clashes between old and new, Sons is a vivid and compelling masterwork of fiction. 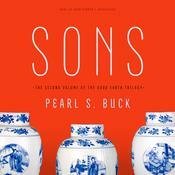 Sons begins where The Good Earth ended: revolution is sweeping through China. Wang Lung is on his deathbed in the house of his fathers, and his three sons stand ready to inherit his hard-won estate. One son has taken the family’s wealth for granted and become a landlord; another is a thriving merchant and moneylender; and the youngest, an ambitious general, is destined to be a leader in the country. Through all his life’s changes, Wang did not anticipate that each son would hunger to sell his beloved land for maximum profit. At once a tribute to early Chinese fiction, a saga of family dissension, and a depiction of the clashes between old and new, Sons is a vivid and compelling masterwork of fiction.